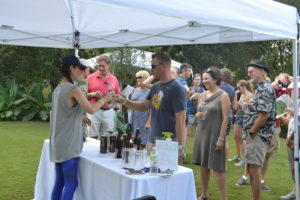 Travel to breweries across the Southeast without ever leaving Moore Farms Botanical Garden’s scenic grounds during the 6th annual MFBG Beer Fest. More than 40 local and regional craft breweries will be represented, offering a variety of beers and ciders that are sure to please even the most discerning brew aficionado. Local food trucks will be serving up delicious eats, and live music will be provided by a local band. You must be 21 and older to attend. VIP tickets are available to those eager for early entry and an exclusive first taste from the vendors.